Kris Dim (Update) Recent Pics! Last edited by tkD; 03-21-2013 at 04:42 PM. I'm not even close to competition conditioning. I've been dieting for 10 weeks now, entering the 11 week tomorrow, and I think I'm at 8% bf or so. For some reason I look softer in this pic than in reality lol. Damn son, you look freaking awesome! Congrats! Looking ripped tkd..............i see a 8 pack right there!! Thanks guys! This is pure motivation to keep going when the diet gets tougher. tougher diet? you're looking great on your current diet; why change it? Tougher - I mean when you start to feel tired from the low calories and your mind is tarting to play tricks on you lol. oh ok. so what kinda foods do you eat on your low carb days? do you get the same zombified feeling like on keto? Ajthemeso's question gives me an idea... tkD, you ought to share details of what you are doing re training diet and all! Because you really look outrageous and we deserve in on the secret! Looking very good tkd! Those capped shoulders and the tricep! Maybe some more bicep needed? 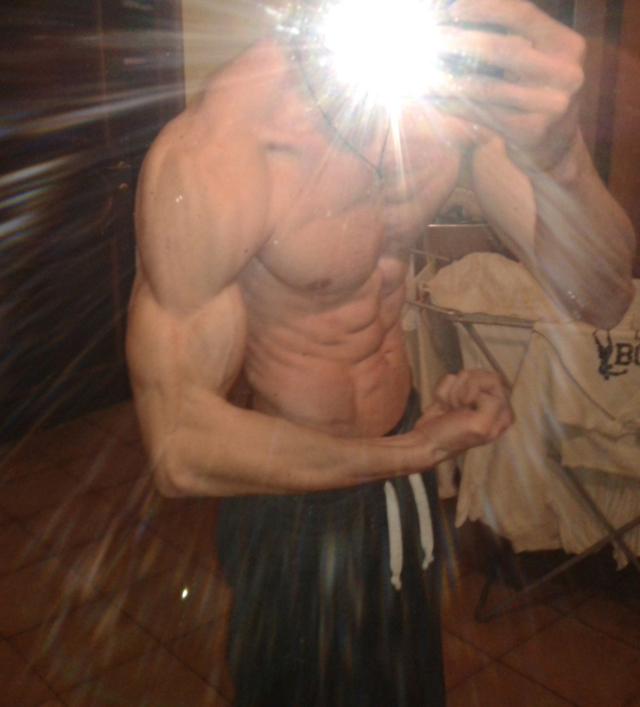 Typical ectomorph? I don't know why you need to diet for so long. That is for guys who start at 25% bf! Don't waste away all your hard earned muscle! Also when do you train, you always seem to be busy on the forums? Good work! I will post more details about training, diet..etc, but maybe later tomorrow. I was just checking in tonight, and I'm tired as hell. ps. the only secret is the discipline. 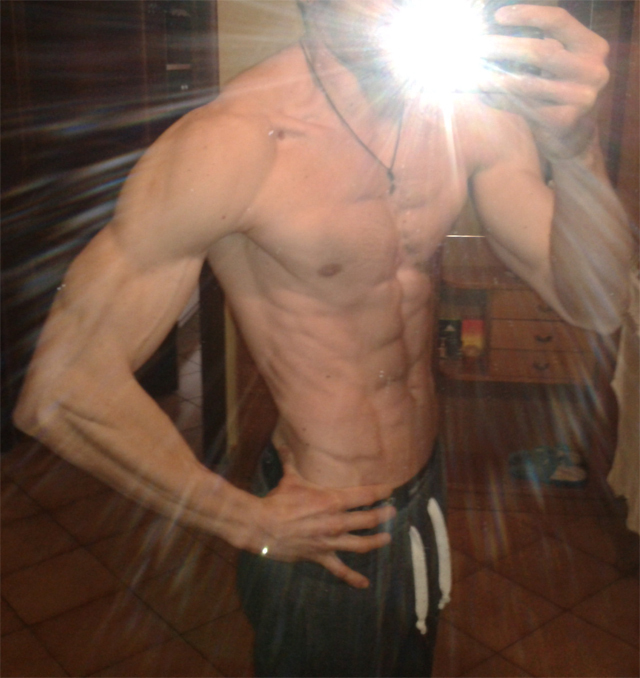 I wanted to diet for this many weeks, and I want to continue (want to learn via trial and error), to see how much it takes to be in actual contest condition. Or at least very close to it. 5-6% would be my goal. Since summer 2012, late August or so, I've been on a cleaner diet, maintaining mostly. Under 10% is what I want and was, all year round. I train early in the morning, at 8 AM. 1 hour of weight training and 30 mins of cardio, and after that I have, or I make time for studying, posting..etc. Now I'm off to bed. Almost midnight here. The diet was a challenge for me, and like I said I wanted to get in a better shape than I ever was. 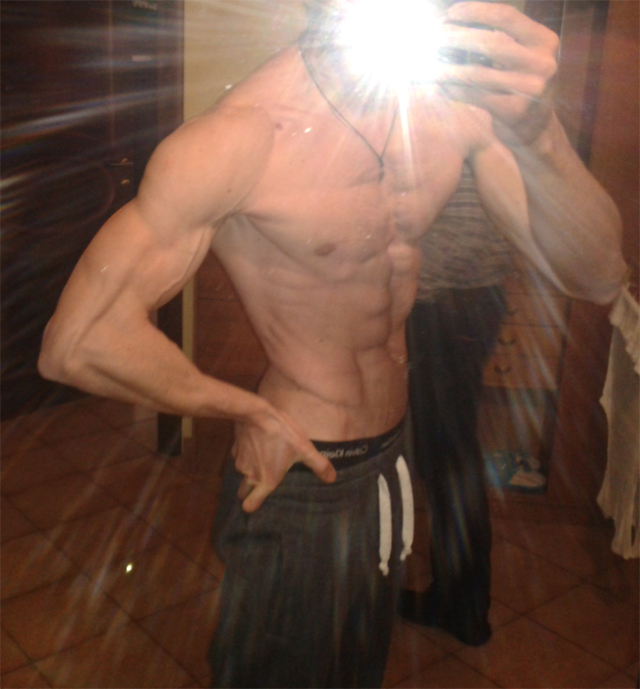 Since 2011 I kept 10-11% bf all year round, and now I wanted to beat that. I actually look bigger, and better with keeping a low bf and training wise. No injuries at all, and joints are feeling great. Last year @ August, I've dieted for 8 weeks, and that was the max I could do. Mentally I could not do 1 day more lol. Now I've challenged myself to beat that 8 week mark, and to control my diet better, my appetite, cravings etc, and I think with everything I've learned so far it helped me a lot. - Mind is everything, right? I love that quote. Last edited by tkD; 03-19-2013 at 07:55 AM. oh ok. so what kinda foods do you eat on your low carb days? On the low carb days, I have my carbs before and after training. After that, I have protein, like fish, chicken and eggs especially, with green veggies (broccoli, green beans), and between the meals I have some fruits. Lately I prefer apple's. I love'em lol!